Roy Ashburn, the conservative California state senator who was arrested last week for drunk driving after reportedly leaving a gay bar, has acknowledged that he is gay. CBS13 reports that Ashburn made the announcement to a radio station where he used to host a talk show. 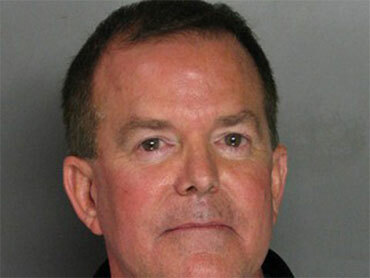 "I'm gay," he told radio host Inga Barks, according to the Sacramento Bee. "Those are the words that have been so difficult for me for so long." Ashburn, a divorced father of four, has repeatedly voted in opposition to gay rights, and in 2005 hosted a rally in favor of "traditional marriage." He has voted against expanding anti-discrimination laws to include sexual orientation, recognizing out-of-state gay marriages and establishing a day honoring gay lawmaker Harvey Milk. The Sacramento Bee reports that Ashburn said Monday morning he made the votes because they reflected the feelings of the voters in his district. "I have always felt that my faith and allegiance was to the people, there, in the district, my constituents," he said. "And so as each of these individual measures came before the Legislature I cast 'no' votes, usually 'no' votes, because the measures were...almost always acknowledging rights or assigning identification to homosexual persons."